Piano buying guide with buying tips. Read this info on how to buy the best digital piano for your needs before buying. 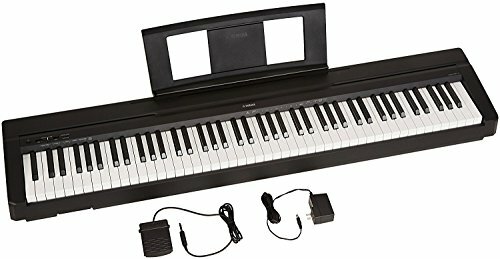 What makes a good digital piano? Digital pianos of well known brands. 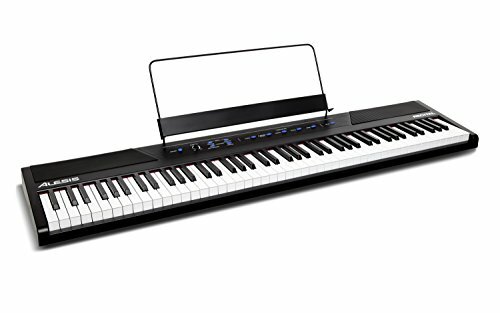 I often get questions about buying pianos, in particular digital pianos. Hence this guide with advice for the buyer who wants to buy a digital piano. Because digital pianos are often bought as a “cheaper way” to try out if playing the piano is your thing before buying an acoustic piano, I approach the purchase of a digital piano especially from the angle that later on you will also want to play on an acoustic piano. But I will also mention some other factors where you should look out for. 88 keys! You ‘ll want a piano with 88 keys. Why? On smaller pianos the transition between a digital piano to an acoustic piano, and vice versa, can be difficult. Piano playing is both, a visual activity and a muscle recognition activity. Your fingers get used to what they play. If you, as a student, get used to a smaller piano, then it can be difficult to adjust to a larger piano. 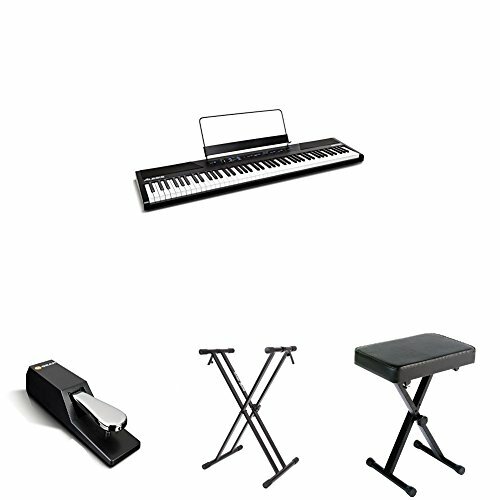 So although smaller pianos more convenient to carry and weighs less, we recommend a larger digital piano. In a digital piano the technique is generally a lot simpler. Keys that are not key sensitive feel quite different in how the key moves. This can be very distracting and it will stand in the way of a good technique if you switch to an acoustic piano. This is really worth the higher price so don’t let it slip! This sounds complicated but it basically means that the harder you press a key the louder the tone will sound. If you are on a non-speed sensitive piano plays, you ‘ll miss a sense of touch and dynamics, simply because it is and can not be there! ‘ Dynamical’ play on an acoustic piano requires a particular technique and keystroke, so to have that sound you ‘ll make sure you buy a speed sensitive digital piano. Test it! Play loud and soft and check the volume changes. The good news is that most models that are both 88 keys and key sensitive are often also speed sensitive. If you often exercise in the evening, headphones to be able to play without bothering others is truly good for the relationship with the people around you! A useful tip for parents though: every now and then every you should let your child practice without headphones so you can hear if they actually practice their piano playing…! Do take care that the volume of the headphones is not too loud, to prevent hearing loss. I guess that about 95% of the digital pianos has a jack for headphones, but check to be sure anyway. If you buy a second hand, take its own set of headphones with you to test if the connection works properly. These are just a few well-known brands known to bring reliable products and good service on the market. Avoid vague brands, because you’re never sure of the quality of the instrument and the customer service. Buying a digital piano can be a decent investment, so you want to be sure that you have the best digital piano for your money. A good tactic is to go to a local music store and try out different models. Try out the sound and interface, check how the piano keys feel.See what you like and what you don’t like. And then check which deals you can find online for the models that you like. Beware because this is not a real piano! If you want to buy a digital piano, ensure that you know the difference between a controller (sometimes called MIDI controller) and a digital piano. It is very simple: a controller has no built-in sounds. It’s just an interface that connects you to a computer and then uses the sounds of the computer. The controller is offered as a good option, as the price tag is lower, but without the connection to a computer the controller can do nothing. It is no real piano. Are you going to use it to give live performances? Will the piano usually remain in your House? Then it will probably not important if a piano is on the heavy side. If you’re not much is going to occur, the weight of the piano might be less important to you? If you are not planning to compose and record music yourself, then don’t waste extra money on a piano that can. No need for 25,000 extra sounds on your piano? Then don’t buy it! If you’re not going to perform a lot, the weight of the piano might be less important to you. You get what I mean: carefully consider what your goals and needs are, now and in the near future. Think about it if you are planning to buy a digital piano. Timbre – play a note loud and listen carefully. Does it sounds like an acoustic piano? Is the sound dying away, like on an acoustic piano? Does it sound natural or not? Do the same while you play a chord. Design – Is the piano easy to operate? Are the buttons simple and clear? Try a few buttons and see if they do what you expect them to do. You don’t want to read a thick manual every time you want to try something new with your piano. Pedals – Does the piano come with a separate pedal, or is there a built-in pedal? Can you mute the sound partly, or is the only choice on or off? When on an acoustic piano, if you push the sustain pedal half, the sound will also dampen half. Some digital pianos can also do this and that can be very useful. Lid/toetscover – Especially when your piano will be in a bit dusty house this is an important option to protect your piano. Otherwise it is only an aesthetic question, which do not affect the performance of the piano: do you find it important to have a toetscover? Speakers and amplifiers – Are the speakers loud enough for where you want to place the piano? Do you need a jack for external amplifiers? If you want to buy a used piano we always advise to try a piano before buying it. Even if you can’t play the piano it helps to just push a key and verify that the key works. And we advise to only buy from people in your neighborhood. eBay is great if you want to buy a new digital piano and also fairly safe, but that can be quite different with second-hand products. If it sounds too good to be true, then just look on for a different piano. There are plenty used digital pianos for sale. Read our tips by. And if you want to be safe buy a new piano and search online for the best deals.